"A sweet and tangy dessert made with minimally processed ingredients." Combine rhubarb, strawberries, honey, 1/3 cup flour, and cinnamon in a large bowl; let rest for 5 to 10 minutes, stirring occasionally. Transfer fruit mixture to a 9x13-inch baking dish. Mix remaining 1 cup flour, rolled oats, molasses, and nutmeg in another bowl. Cut in butter with a knife or pastry blender until the mixture resembles coarse crumbs. Sprinkle crumb mixture over fruit. Bake in preheated oven until crumb topping is golden brown, 35 to 40 minutes. 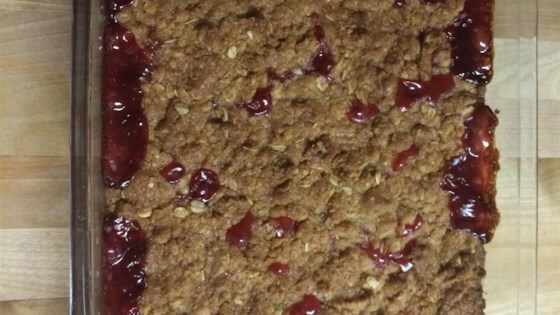 See how to make a super-simple rhubarb and fresh strawberry crisp. I will make this again!